Forgiveness looks reality in the face. Part of the resistance that many have to forgiveness is the idea that it is like pulling the wool over your eyes, that it means having to pretend that everything is OK. That is not forgiveness, that is denial. Burying your true feelings does not help you move on. Part of forgiveness is acknowledging your hurt, your anger, your pain. Acknowledge those feelings and allow them to pass through you, but don’t hold on to them either. Those feelings are like a forest fire, they move through and burn as long as there is fuel to feed them. But once the fuel is gone, so goes the fire, then new life comes up from the ashes and the forest is renewed. The purpose of the fire is to create the way for renewal, so you must allow it to move through you, but as long as you keep feeding the flames, as long as you keep giving fuel to the anger and hurt, it will continue to burn, and you rob yourself of the possibility of renewal. How do you stop feeding the fire? Forgiveness. In many cases it may take some time to get to a place of forgiveness, and if you are not ready to forgive right now that is also OK, don’t beat yourself up about it, just allow it to be. You don’t have to forgive today if you’re not ready, but if you want to begin the path toward forgiveness I offer a series of simple exercizes to get you there. Begin by practicing regular meditation if you are not doing so already. Meditation will help you tap into the still place within, which is where you find your essential self, the self which is aligned with unconditional love. Unconditional love and forgiveness are of the same energy. 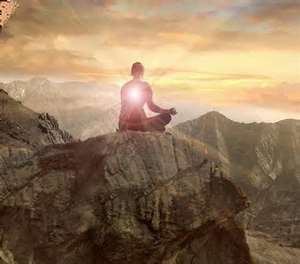 The series of videos below provides some guidance on basic meditation and discusses how meditation can improve relationships, reduce stress and help you find inner peace. The second step is to begin sending unconditional love to random people, for no reason. You can do this while in meditation or while you’re out and about. Send it to people you pass on the street, send it to the clerk at the supermarket. Send this love from your highest self to theirs, remember that they are not just the personality that you are interacting with, they are an eternal soul like you, and you are connected; send love to that eternal soul which is connected to yours. No need to tell them, just send it from the heart, and feel the warmth and beauty of that energy, notice how you instantly feel better, and perhaps the other person responds to you differently as well. You will see that by sending this love to others, you become the beneficiary of that energy. You will feel lighter and more present. When you have this down, the third step is to send unconditional love to the person who cut you off in traffic, or the person who gave you a dirty look at work. After doing this enough you will begin to see how easy it is to make the choice to simply send love and to forgive, without conditions. You will see how this releases you from the knee-jerk negative reactions that we typcially fall victim to in these situations, and instead allows you to remain in the ‘flow’ of your day without being thrown off-track by negativity. Finally, when you are ready, sit in meditation and begin sending this same energy to any person or people who deeply wronged you in the past, send it to the people you most need to forgive in order to move on, and this may include yourself. Just choose to do it, without thinking about it. Thinking about it will draw you back into the story, and as discussed in my previous post letting go of the story is a crucial part of forgiveness. [If you find that thoughts about the story keep coming up as you do this, try the exercises I recommend in ‘Thought Seeds’ to rid yourself of those thoughts and continue sending the unconditional love and forgiveness.] After a time you will begin to feel a release, you will begin to feel as if there is space around the hurt, around the story, that it no longer seems to affect you the way it used to. Finish the meditation be surrounding yourself with a bubble of pure gold light. Intend that this bubble will be a barrier that will only allow love and high energies to come through, and will keep out any negativity. You may only need to do this once or you may need to do it a number of times until you feel released from the story, until you feel the fire subside and new growth beginning. Humanity is in deep need of forgiveness. Forgiveness is how we heal the world and stop the cycles of suffering. When you hear crazy and horrible things on the evening news, such as the events this week in Boston, remember that forgiveness is your highest calling, it is the energy which will heal the world. Allow yourself to feel the pain and anger, but also be brave enough to forgive, and wise enough to know that forgiveness is the only way to finally be free. I also recommend the book “Radical Forgiveness” by Collin Tipping, for those who want to explore forgiveness more deeply. Tipping offers some wonderful and profound exercises in forgiveness and offers new perspective on the negative things which happen in our lives.